I&apos;m sorry. Could you repeat the question? Last week, Stuart Gulliver issued a heartfelt apology for all of the many shady things his bank is trying to do less in the only forum that truly demonstrates the heartfelt nature of an apology: a series of newspaper ads. Given the heat HSBC is taking for helping clients dodge taxes (among other things), it would be pretty embarrassing if it turned out that Gulliver himself had a secretive Swiss bank account for, you know, reasons. And so he does. But it’s not what you think! 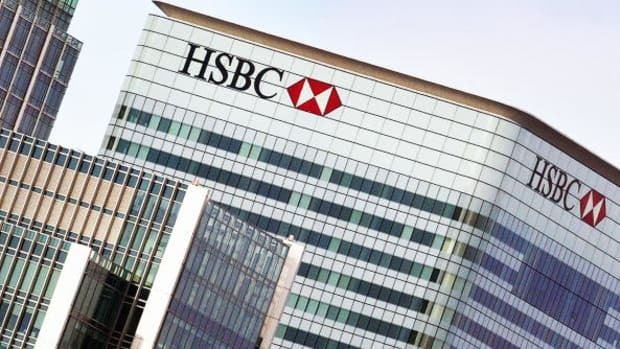 Far from it: Gulliver simply set up the account in 1998 through a Panamanian shell company to conceal his identity, not to evade any Hong Kong or British taxes, which HSBC assures he’s paid in full. The bank executive was listed as the beneficial owner of an account in the name of Worcester Equities Inc, an anonymous company registered in Panama, containing a balance in 2007 of $7.6m. It was through this entity that Gulliver’s HSBC bonuses were paid until 2003…. He's looked at the other candidates and decided that he is uniquely qualified to "fix" the mess that HSBC is in that took place while he was a senior executive at the bank. It’s not Stu Gulliver, but it’s close.